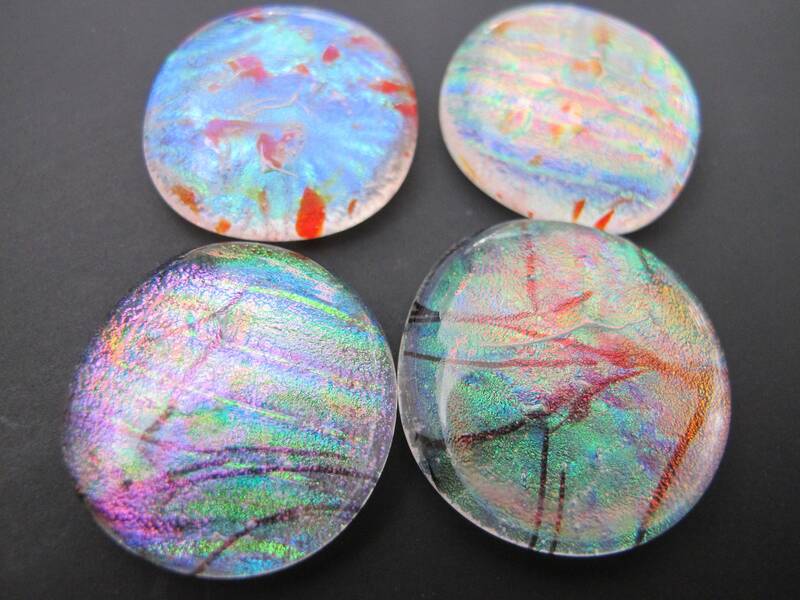 Four colourful freeform, handmade Dichroic glass cabochons, for Jewellery making, Stained glass etc. The larger crinkled rainbow, clear transparent cab is about 28mm, and the lined black specialty glass is sandwiched between the dichroic. The three smaller crinkled rainbow cabochons measure about 27mm and are also clear and transparent. Two cabs feature red speckled and one features black streaked specialty glass. The dichroic effect is subtle and is best seen against a dark background, as can be seen in the last five photos.